Bord Liquorice | Home Studio, Inc.
Bord is characterized by natural and delicate veining combined with shade-on-shade hues. 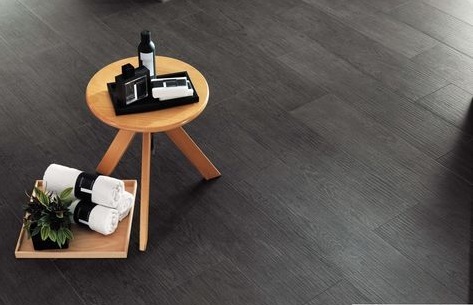 An elegant and modern wood porcelain series, Bord is for those who love contemporary design and style. The surface reproduces a pleasant planed effect, thanks to a slightly visible relief that creates a subtle undulating pattern on the floor. 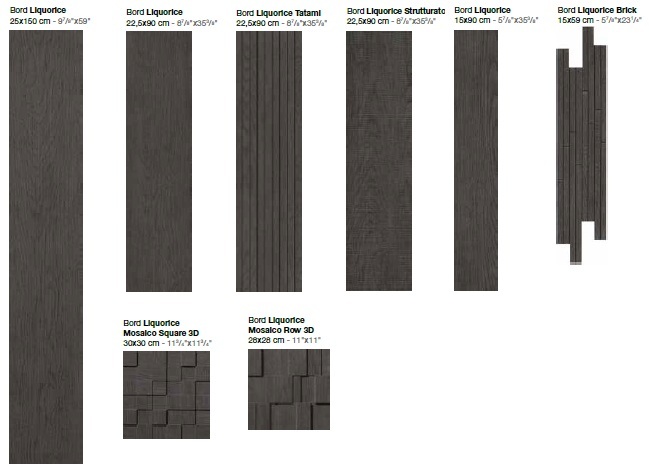 For outdoor flooring, wet areas and wellness centers, Bord is available in textured finish with saw-cut effect.